The fate of legislation that would require property owners to get rid of cesspools within one year of the property purchase remains uncertain. 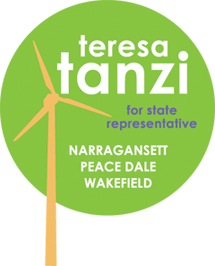 The bill is still being held for further study in the Committee on Environment and Natural Resources, but State Rep. Teresa Tanzi, its sponsor, and Chairman Arthur Handy, said Tuesday that they are still optimistic it could be passed. A day earlier, Save the Bay called on the General Assembly to pass the legislation to help improve water quality by replacing antiquated cesspools with modern septic systems or sewer tie-ins. The Rhode Island Association of Realtors, which has opposed similar bills in the past, said the state should not link the desirable goal of phasing out cesspools with property sales. It's an arbitrary system that could leave some cesspools in place for many years, said Monica Staaf, the association's government affairs director.